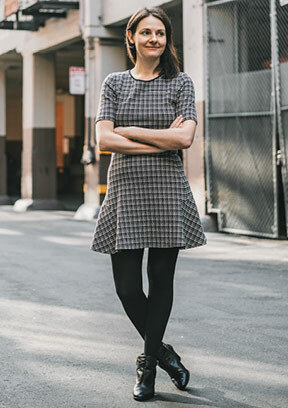 With so few women in leadership roles in the information technology sector and a dramatic gender imbalance throughout the field, Kraus’s title is more than a description of her leadership position in her new women’s fashion e-commerce company, Peach. It’s also a challenge to an industry where a company’s potential is often predicted based on its similarity to other successful ventures, most often led by CEOs who look a whole lot like Mark Zuckerberg. These stories aren’t encouraging, though the widespread response to them is. And these numbers, and others looking at woman-founded startup and venture capital investment, aren’t encouraging, though their release is. Last year marked the first time most of the leading technology companies publicly reported statistics on gender diversity. The conversation is changing. The question is no longer, does the tech industry have a gender diversity issue? The question now is, how do we solve it? Tech didn’t always have a gender diversity problem, at least not by the numbers. 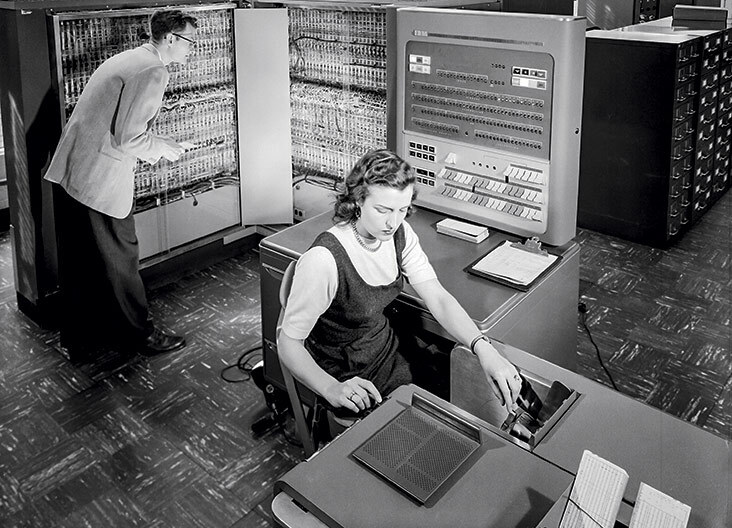 In the early days of the industry, when computers were the size of rooms, not wristwatches, women had a significant presence in the field of computer programming: they were the coders. In the United States, the number of women graduating with undergraduate computer science degrees rose through the 1960s and ’70s, until the mid-1980s. In 1985, 37 percent of computer science graduates were women. In 2012, only 18 percent of computer science graduates were women. Why? No one knows for sure, but the shift coincided with both the rise of the home computer, marketed mainly as a toy for boys, and the rise of the male tech geek. This stereotype of a so-called brogrammer played an important role in the development of the now male-dominated tech industry. “When a girl sees a guy in a hoodie in a garage,” says Kraus, “that doesn’t look like her path.” Kraus has witnessed this dynamic as an entrepreneur. When she cofounded and served as CEO of Circles, a national corporate concierge, in 1997, there were even fewer women on the entrepreneurship path. By the time she sold Circles in 2007, it had 1,000 employees and was on track to generate $75 million in revenue. Kraus then cofounded and sold the high-end travel website Spire. Now Kraus is examining the place of women entrepreneurs as a scholar. During her time at HBS—as a member of the faculty and now as a Rock Center Entrepreneur-in-Residence, advising MBA students in their startup endeavors—Kraus says colleagues have frequently asked her for the names of other women founders and CEOs, within the tech industry and beyond. She finally decided to make a list. She identified more than 60 successful women entrepreneurs—whom she calls “high velocity” women—whose careers could provide some insight into these questions. “I wanted to understand what it is that they did to crack the code,” Kraus says of her research. If the first step in increasing the number of women in tech leadership is role modeling, notable HBS alumnae in the industry are leading the way. Women who aspire to be tech leaders can look to Facebook COO and Lean In evangelist Sheryl Sandberg (MBA 1995) and HP president and CEO Meg Whitman (MBA 1979) as well as entrepreneurs such as Victoria Ransom (MBA 2008), who cofounded the social marketing software developer Wildfire in 2008 (selling the 350-plus employee firm to Google in 2012 for a reported $240-$400 million), and CloudFlare cofounder Michelle Zatlyn (MBA 2009), to name a few. Maybank is an example of someone whose interest in tech wasn’t discouraged. After graduating from Harvard College in 1997, she arrived in Silicon Valley just as the Internet began to enter everyday life. Maybank worked as an investment banker on some of the first Internet IPOs before joining eBay; she’s been in e-commerce ever since, cofounding the successful members-only shopping site Gilt Groupe with classmate Alexandra Wilkis Wilson (MBA 2004). Now Girls Who Code students work as summer interns at the Gilt Groupe. The nonprofit has middle school and high school clubs in more than 20 states. “The pipeline is very thin,” says Maybank, “but the numbers are growing.” At HBS, the numbers are particularly encouraging. The Tech Club currently has almost 500 members; slightly more than 40 percent are women. (This year’s graduating MBA class is about 40 percent women.) And for each of the last three years, the club has been led by women copresidents and a diverse leadership team. Although 17 percent of the School’s 2014 graduates went into tech, many current students—male and female—who are interested in the info tech sector are unfamiliar with the language of coding. To address this, two years ago the Tech Club introduced educational programming, a student-run answer to the popular Training The Street program offered to those interested in finance. “When you are working in the tech sector, it’s important to be tech literate,” says copresident Tatiana Louneva (HBS 2015). “You need to be able to have the conversation with—and to gain the respect of—engineers.” Louneva, who plans to head to Silicon Valley after graduation, took a computer science course at Harvard College. For others not ready to commit to a full semester, the club offers an always sold-out, two-day intensive coding marathon and classmate-taught workshops. It’s education, not gender or the wider issue of diversity that is of most concern to HBS students considering a career in tech, Louneva says. She certainly doesn’t feel like a pioneer in the industry. “There are already women there to look up to,” she says, quickly listing five women mentors from her short tech career. For many members of the Tech Club, startups will be their entry into the tech world. That often means raising venture capital, which presents another major barrier to women’s entry into the field as founders and CEOs. Raising venture capital, people are quick to point out, is not easy for anyone. Still, women entrepreneurs—11 percent of the US working population in 2013, according to a report by Global Entrepreneurship Monitor—receive significantly less venture capital money than their male counterparts. HBS Assistant Professor Alison Wood Brooks has researched gender bias in entrepreneurial pitching. Her 2014 paper on the topic produced headlines: Investors prefer attractive men. Even when the content of the pitches—as observed both in lab experiments and in the field—was the same, attractive men were significantly more likely to successfully persuade investors. In second place, men deemed to be unattractive. Women—attractive or not—were least likely to successfully persuade investors. Brooks and her coauthors (including her twin sister, an entrepreneur) did not study interventions to change this bias—which was as prevalent among female investors as among male investors—but she hopes the findings will spark conversations about how to change the disparity. “The first step is awareness. The more investors and more entrepreneurs who are mutually aware of it, the more likely it is they can talk about it openly and can make efforts to overcome it,” she says. In 1999, The Diana Project, cofounded by retired MBA Class of 1961 Professor of Management Practice Myra Hart to study women entrepreneurs, found that less than 5 percent of venture capital investments went to businesses with women on the executive team. A follow-up study published in 2014 found continued disparity but some progress: Between 2011 and 2013, about 15 percent of venture capital investments went to businesses with a woman on the executive team. Some three years after its founding, the Women’s Venture Capital Fund is still one of only a few VC firms with the mission of funding businesses with women leaders. “Investors themselves, whether they are investing directly or through venture funds or via angel networks, have to recognize that this is a real opportunity to make money,” Dorsen says. The fund is making progress on that front. The Women’s Venture Capital Fund investors were once predominantly women. Now almost 50 percent are men. Education can encourage more women to consider the tech sector, and access to venture capital can fund women-led startups, but the sector’s reputation for a boys-only culture remains an obstacle, many say. The industry is not simply lacking in women coders or women entrepreneurs. The deficit of women in the business aspects of the technology field is also pronounced: A recent report by Catalyst, which studies women in business, found that only 18 percent of newly minted women MBAs worldwide take managerial jobs at tech companies (including information technology among a wider field) as compared with 24 percent of men, and about half of the women leave the industry, compared with 31 percent of the men. 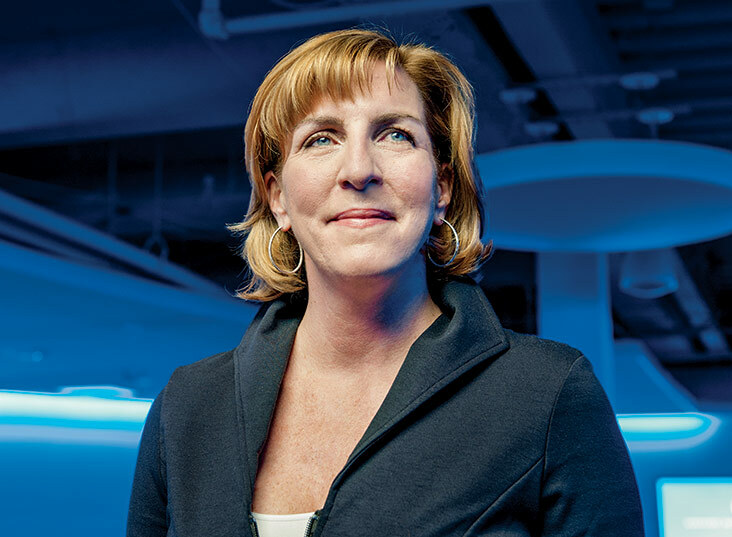 It’s not an issue that’s unique to the tech sector—most industries are male-dominated—but for many technology firms “this is new territory,” says Robin Ely, the Diane Doerge Wilson Professor and senior associate dean for Culture and Community, who is also chair of the School’s new Gender Initiative. There are some lessons that the relatively young tech industry can learn from sectors that have been focused on the issue of gender for longer, but one answer to the question of why aren’t there more women tech CEOs is that there are few women CEOs across all sectors. According to Catalyst, in 2013 only 14.6 percent of executive officer positions were held by women among Fortune 500 companies. “No industry has licked the problem,” Ely says. Although tech culture has earned—and perhaps deserves—a bad reputation in the media recently, the problem is widespread, and cultural change is the only solution. The tech industry’s reputation as a male-dominated field could reduce the number of talented women attracted to the sector, Groysberg says. And he sees a moment of opportunity for smart tech businesses to turn inclusiveness into a competitive advantage when competing for talent and investments. 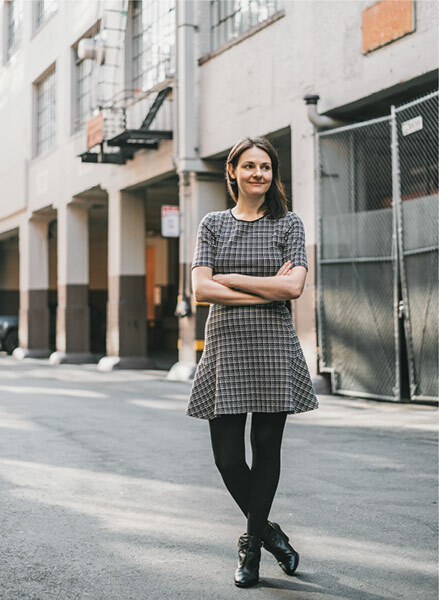 Tech cofounder Michelle Zatlyn makes the strong business case for inclusiveness simply by running CloudFlare as a successful company. “There are investors who we have actually decided not to take money from, and they have said totally irresponsible things to me,” she says. “I feel like my responsibility is to prove them wrong, find people I can attach myself to who don’t care that I’m a woman, and build a really big, successful company, so they can be like, ‘Oh, I should have taken her more seriously.’ ” And perhaps they should have: CloudFlare now handles 5 percent of the world’s Internet traffic and has a reported $1 billion valuation. Entrepreneur-in-Residence Janet Kraus, along with Sarofim-Rock Professor Lynda Applegate and entrepreneurs Lindsay Hyde (MBA 2014) and Kathy Sherbrooke, interviewed more than 60 “high velocity” women—successful women entrepreneurs who have raised more than $25 million in venture capital and are building high-impact businesses in the tech industry and beyond. The researchers hoped to learn how they “cracked the code” that has long hindered women-led startups and identify lessons for encouraging future women entrepreneurs. Successful women were encouraged to be the boss from a young age—and they weren’t called bossy. An overwhelming majority of women founders started their entrepreneurial pursuits at an early age and were encouraged by family members. “At a young age, I was literally selling art off my family’s living room wall,” one said. The interviewees repeatedly mentioned that they were not called “bossy”—a word more frequently applied to girls than to boys—but rather were encouraged to be the boss. Deep industry experience is more important than years of industry experience. Although some of the women founders had years of experience in their fields, many spent a short period of time diving deeply into a problem. Understanding that an entrepreneur’s timeline is flexible removes important barriers for mid-career women who might believe it is too late to start a business in a new field or early-career women who are planning both a startup and a family. Anyone can develop a strong network.